The Shrine of the Holy Innocents Chapel is located at 36 Cedar St., Saugerties, NY 12477. The chapel is open 24 hours a day, 7 days a week. There are Masses held there most Monday and Wednesday mornings at 8am. You are welcome to visit the chapel at any time. Our Shrine is 100% volunteer. Your support of the Shrine helps us spread our message of healing all over the United States. It also helps us with all operational costs. Please contact us to ensure your plaque has been added before coming to view it at the Shrine, as the engraving process can take some time. Please fill in the following info to purchase a plaque online. If you would prefer to mail your info, please click here. Please note that your information will remain private. Your plaque is the only information that will be visible to those that visit the Shrine of the Holy Innocents Chapel. Your State/Province REQUIRED Please fill out this field. Please enter valid data. Your Country REQUIRED (Select One) United States Canada Mexico Other Please fill out this field. Plaque First line of text (25 characters/spaces max) REQUIRED Please fill out this field. Please enter valid data. Second line of text (25 characters/spaces max) Please enter valid data. Third line of text (25 characters/spaces max) Please enter valid data. Would you like to add a symbol to your plaque, for an additional fee of $5? 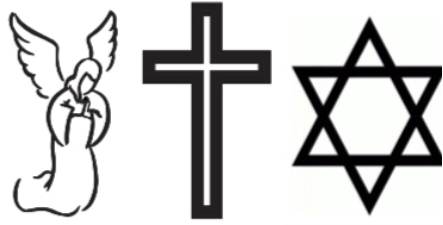 REQUIRED $0 – No additional symbol $5 – Please add an Angel to my plaque $5 – Please add a Cross to my plaque $5 – Please add a Star of David to my plaque Please fill out this field. Would you like a duplicate plaque mailed to your payment billing address? REQUIRED $30 – Yes, please mail me a duplicate plaque $0 – No, please do not mail me a duplicate plaque. Please fill out this field.